The writer Frank Cottrell-Boyce started an interesting discussion on Twitter recently about novels (and other books) which include fictional maps. Most of you reading this will be familiar with the map from the Lord of the Rings and The Game of Thrones. Frank's Twitter thread also discusses the role of maps in Ursula K. Le Guin's Earthsea Cycle, in Robert Louis Stevenson's Treasure Island and even in John Bunyan's The Pilgrim's Progress. If you read the thread on Twitter you can also view all the replies in which other Twitter users add their own examples of books which have fictional maps. Frank's discussion of fictional maps reminded me of a Guardian quiz which tests whether you can Identify the Book from its Map. This Guardian quiz shows you ten fictional maps and simply asks you to pick the correct book from a choice of four. If you like the Guardian's book map quiz then you might also like The Guardian's Can you guess the city from the literary quote? quiz. This quiz tests your ability to recognize cities as described by famous authors. 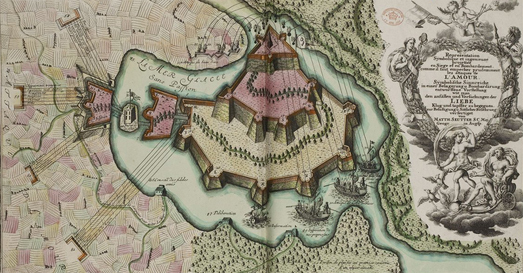 Can you identify these cities from their historic maps? Can you identify world cities from their running heatmaps? Can you identify these world cities from space?